This product is a high strength retaining glue that is used to glue a flex cable into propeller shafts. 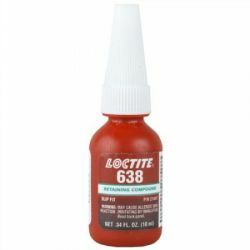 The product is thicker than Loctite 603 and Loctite 648. Made for fitting parts with a larger gap. Begins to Harden: 4 min. Fills Gaps Up To: 0.01"